Pupils studying Computer Science at St Benedict’s learn coding alongside a detailed knowledge of all aspects of Computers from social, ethical and legal issues to the hardware and software. We want our pupils to become competent practitioners, able to apply their computing skills to practical applications across the curriculum. Often, the way in which a Computer Programmer thinks is particularly compatible with having a mathematical mind, although at University and in later life, the skills acquired can be put to a wide variety of uses and a multitude of tasks in the workplace. The pupils will become familiar with BBC Microbit, Raspberry pi and Arduino and they have the potential to learn more than one programming language. Form 3 pupils are offered Computing for one lesson every two weeks. This bridges the gap between what they have learned in Years 5 and 6 and the GCSE years. They develop basic computing skills that allow them to use computers to support other activities and academic subjects, and they begin to learn to code, to develop an understanding of algorithmic and computational thinking. 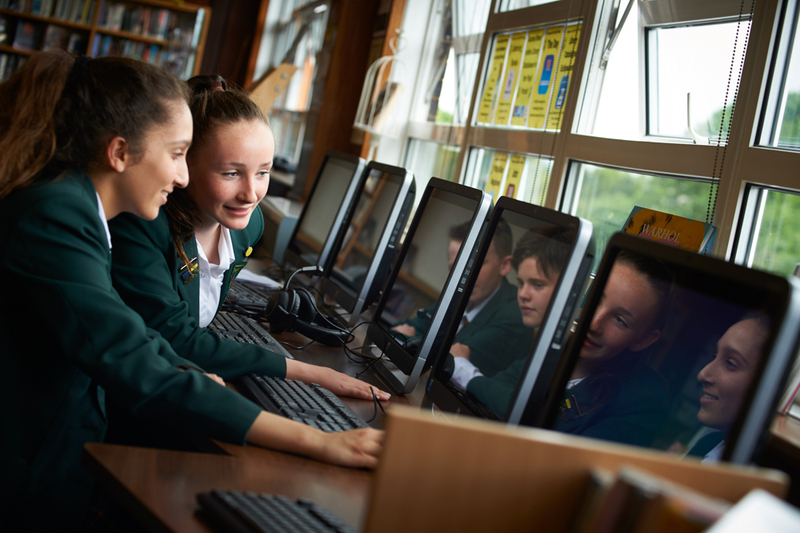 At St Benedict’s we follow the OCR GCSE Computing course (J276) which places greater emphasis on cybersecurity and coding than before, in line with government initiatives to boost our country’s ability to counteract cyberattacks and to meet the demand of our institutions for competency in coding. Pupils acquire the ability to think like a programmer and are set a coding challenge for their GCSE exam (20%). The two written papers test fundamental knowledge such as systems architecture, wired and wireless networks, system security (as outlined above), system software, algorithms, programming techniques, translators and data respresentation. At A Level we offer AQA Computer Science. The online exam (Paper 1 – 40%) enables pupils to acquire proficient coding skills suitable for university courses and software companies. The A level project gives pupils the opportunity to develop a solution to a real problem or to carry out an investigative project that requires coding. The A level project requires a certain level of complexity, which may be achieved through object-oriented programming or otherwise, and students also become familiar with functional programming paradigms like Haskell. The opportunities to study Computer Science at university include information systems, artificial intelligence, electrical and electronic engineering, software engineering, computer games programming and design, computer graphics, forensic computing and applications to the combined sciences.